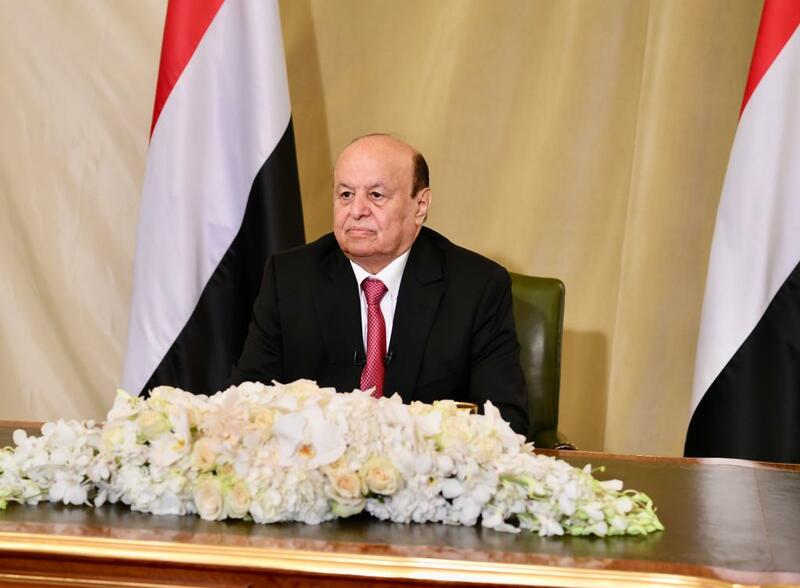 The decisions issued by the Yemeni President Abed Rabbuh Mansur Hadi late on Wednesday, one of which was the appointment of the Minister of Defense are provoked devise reactions, as it came in the midst of large-scale combat operations in more than one front inside the country, between Yemeni forces supported by the Saudi-led coalition and the Houthis "Ansarullah", backed by Iran. According to the Aden-based Yemeni "Saba" news agency, the President Hadi issued new republican decrees, one of which appointed Lieutenant General Mohammed Ali al-Maqdashi as defense minister replacing Major General Mohammed al-Subaihi, detained by the Houthis group since April 2015. Another Republican decision appointed the Admiral Abdullah Salim Ali Al Nakhaee as Chief of the General Staff and promoted to the rank of Lieutenant general. The appointment of the military commander, al-Maqdashi, as defense minister, which was vacant for more than three years, days after the success of Omani mediation in the Houthis groupe enabled the former Defense Minister Major General Mahmoud al-Subaihi to communicate with his family.